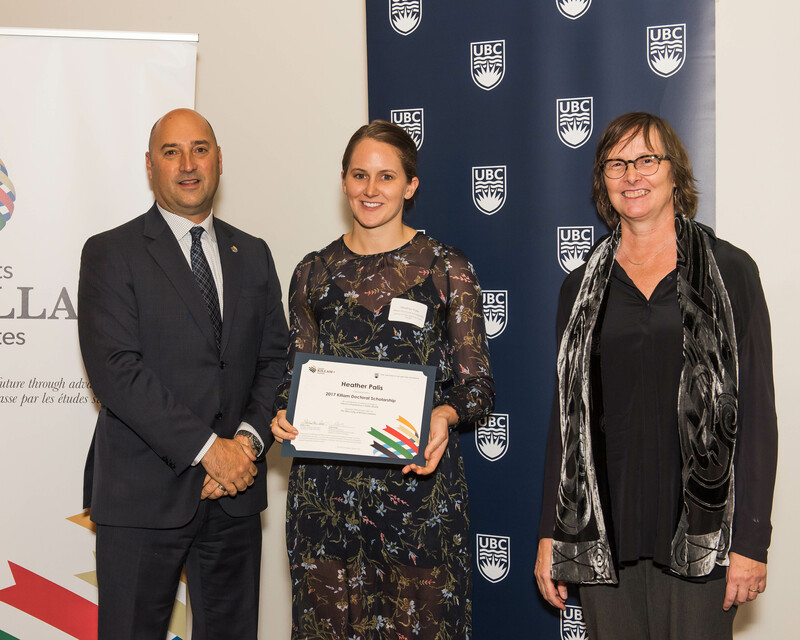 School of Population and Public Health doctoral candidate and 2017/18 Killam Doctoral Award winner Heather Palis is investigating innovative solutions to the opioid overdose crisis. Working with supervisor Associate Professor Eugenia Oviedo-Joekes at Crosstown Clinic, Ms. Palis is looking at the relationship between illicit stimulant use and treatment adherence among people receiving injectable medical grade heroin and hydromorphone for the treatment of long-term opioid dependence at Crosstown Clinic. Currently in the third year of her doctoral degree, Ms. Palis said in an interview with UBC Graduate and Postdoctoral Studies that while evidence suggests this treatment is safe and effective, including seeing reduced use of illicit opioids, high rates of illicit stimulant use, such as crack cocaine, still occurred. This exposed patients to the many risks associated with the use of illicit substances, such as infectious disease, overdose, and engagement in criminal activities, and could interfere with patients’ Crosstown Clinic treatment outcomes, she said. These services could include replacement therapy, she said, or a program of prescribed stimulants alongside the injectable opioid treatment. A recent finding from Ms. Palis’ research has been that after six months of injectable opioid assisted treatment in the SALOME trial, crack cocaine use remained significantly higher among Indigenous women compared to other groups. This suggested this was a subgroup for whom targeted interventions such as stimulant replacement therapy may be well suited, she said. In the featured UBC Studios interview about her work, Ms. Palis said there was often a tendency to criminalize opioid dependence. Crosstown’s program medicalized heroin use, and brought patients into a setting where they no longer felt criminalized. The Killam Award offered a platform for Ms. Palis to share her research findings and information related to this treatment, she said. According to UBC Graduate and Postdoctoral Studies, Killam Doctoral Scholarships are awarded to students who are “likely to contribute to the advancement of learning or to win distinction in a profession” and provide up to $30,000 per year plus a $2,000 research travel allowance over a two-year term. Dr. Oviedo-Joekes said Ms. Palis’ work was important not just because of its topic, but because of her methodology and theoretical approach. Ms. Palis was working with people that had been using street drugs for many years, she said, and was investigating the complex interactions between opioid agonist treatment, crack cocaine use and structural and individual vulnerabilities using quantitative and qualitative methods.